A sewing frenzy. | there's no place like gnome. Two baby quits reached completion. The red, white, and blue one was commissioned by my mom. She picked out the fabric; I did the quilting. 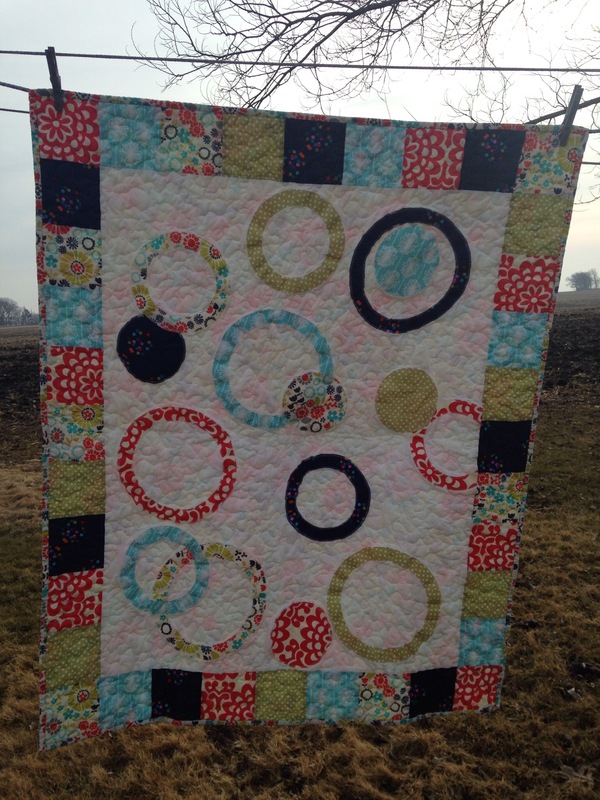 The other circle quilt will be off to St.Paul soon as a gift to college pal, Deb’s second child, Miss Ellie. 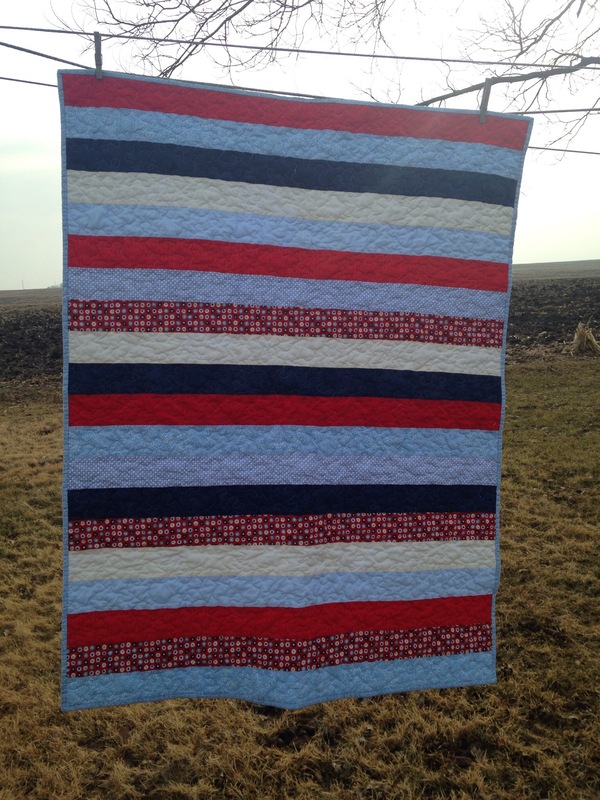 I hope to deliver the quilt/hold the new baby soon! 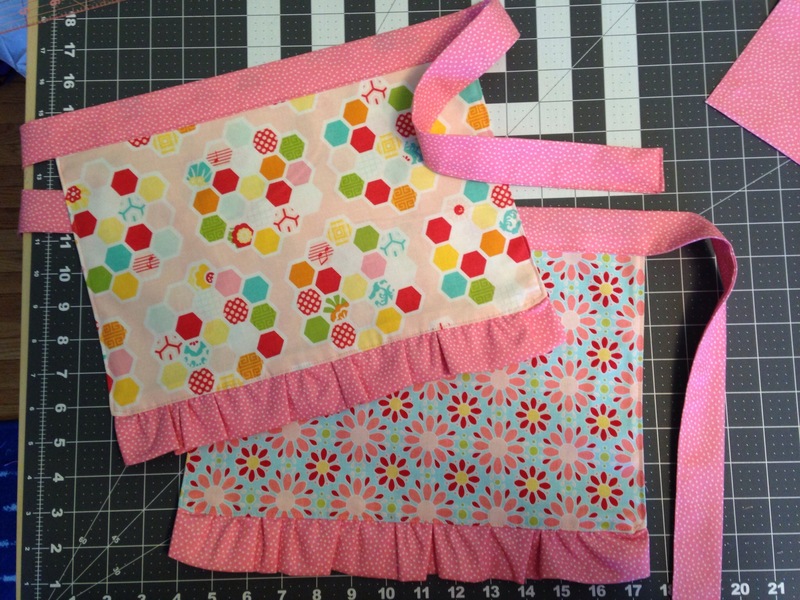 The other thing sewn of late were a pair of toddler aprons. They went in the mail last week to a set of twins in Montana who I think are pretty great. As always, too many projects and not enough time!